Hybrid Artist, Carlos works both in Animation and Live action movies. 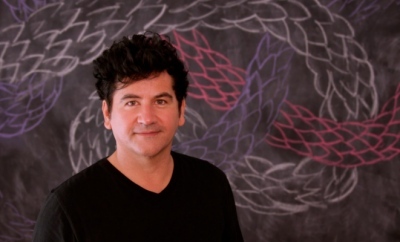 He is currently production designer in "Vivo", a musical animated feature from Manuel Lin-Miranda, directed by Kirk De Micco at Sony Pictures Animation, to be released in Nov. 2020. His wide experience includes art directing for over 18 years in feature live action, animation, musical theater, commercials, TV drama & shows. He was awarded by the Art Director’s Guild with the ADG Excellence in Production Design Award for his work in “Pan’s Labyrinth”. His latest projects as production designer: “Vivo” and “The Emoji Movie” at Sony Pictures Animation. His credits include designing for animated movies: “The Tale of Despereaux”, “Gnomeo & Juliet", "Madagascar 3", "Mr. Peabody & Sherman", and "Puss in Boots 2: Nine Lives & 40 Thieves", and live-action movies like “Asterix at The Olympic Games”, “Pan’s Labyrinth”, directed by Guillermo del Toro, that won the Oscar and Satellite Awards for Best Production Design. He graduated with a Bachelor in Painting at the Fine Arts School at the Complutense University, in Madrid, and an Art Direction for Film & TV Degree at ECAM ( Madrid Film School ). Originally from Spain, he lives in Los Angeles, California. All images © Carlos Zaragoza or their respective copyright owner.